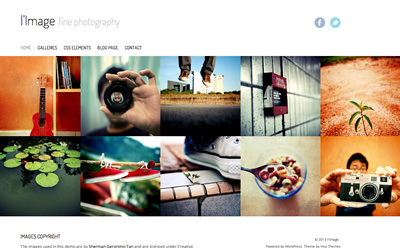 L’Image theme will make it extremely easy for you to setup your professional photography website. 100% responsive design and ability to create an infinite amount of galleries. Ability to feature as many images as you want in the front page. Infinite amount of galleries possible. Easily switch from text to image logo.